Following the recent warm sunshine in the UK thoughts are turning to summer and the ever increasing range of festivals. Here we take a look at the option of festival going in a van. Lots of types of vans are available to hire including this VW camper van that could save a lot of inconvenience if the weather takes a turn for the worse. While it’s still the festival stalwart, the VW Kombi does take some getting used to although drivers, once they have adjusted to the quirks of th edrive say they simply love it to bits. The 2008 VW Type 2, imported from Brazil, sleeps two in a double bed and two more in the elevated roof. It comes well equipped, with a cooker, a sink and a fridge, but no lavatory or shower. A four-night weekend costs £450 through www.vweekender.co.uk based in Sussex. 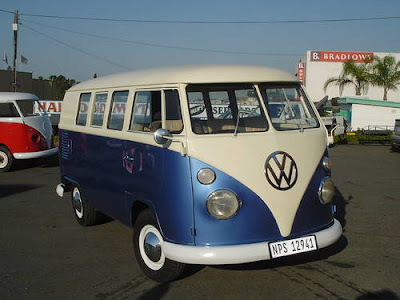 For classic 1960s or 1970s models, a week costs £495 with www.coolcampervans.com, in the Peak District, or from £400 with VW Camper van hire www.vanhire.com, in Hereford. I have very busy schedule as I am working person so I am here wondering for online sites from where I can hire van by sitting at home. Please provide me list of online van hiring companies. It is fun to travel in a camper van especially if your destination is a couple of hours away. I recall a company outing when we hired a corporate travel services and rode on a camper van. It was one of the best vacations.